Based on a beautiful South African Safari theme, this slot will win your heart. With stunning designed to compelling music to amazing bonuses and features, this slot provides it with all. 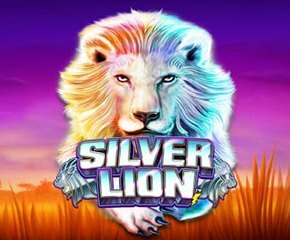 With 5 reels and 1024 ways to win, Silver Lion slots is fun, interesting and all things good. 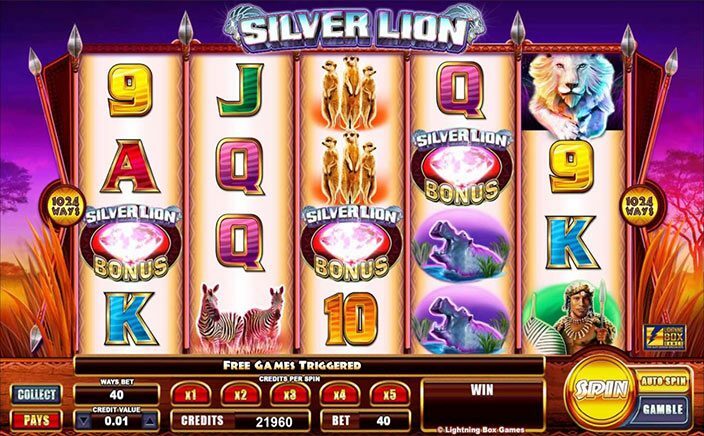 Silver Lion slots have been developed by one of the best developers in the business, NYX. They are known for their smooth user interface and high-quality graphics. This slot has it all. Working in the business for more than two decades this company has gained respect and accord from everyone. Wild Symbol- Wild symbol is a tree in the sunset. The wild symbol can be used as the substitute to any other symbol in the slot except the scatter symbol. It can be used to make various combinations and win big. If the wild symbol appears on the winning payline it can boost it to 2x or 3x of your paylines bet. If you get more than one wild tree your multiplier will be combined to make an even bigger multiplier. The Scatter- The scatter symbol is the Silver Lion itself. The scatter symbol is very rewarding. If you land 3 or more of these symbols in your slots, you are given 8, 15 or 20 free spins and cash out of 2, 10 or 20 times your total stake. For every 3 scattered you land in a free spin feature, you get another 5 free spins. Very crisp, interesting and smooth Silver Lion is one slot that you can play flawless and enjoy the gameplay. The beautiful design and high payouts are sure to keep you coming back to this slot game for more.